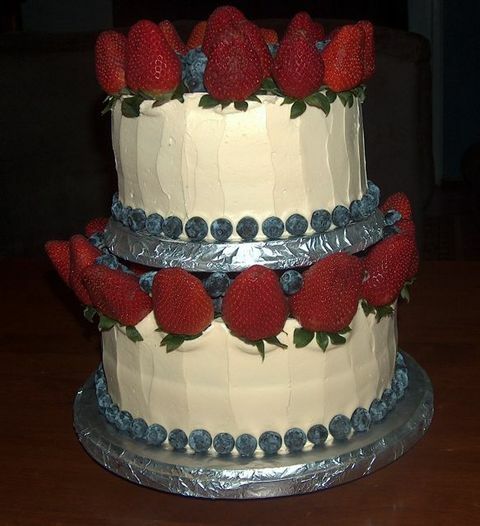 I asked Luis to share the photo of the cake she was planning when she posted a question on the blog about a challenging cake request. Here was her response:This is the cake I did where the customer was "not too much not too sweet; not too this not too that." I didn't end up doing the meringue sticks as planned because she said they were too sweet so this is what ended up being done. It wasn't stacked in the normal way but it worked. Well done Luis!